I'm thinking it would make a pretty cool "take away"... 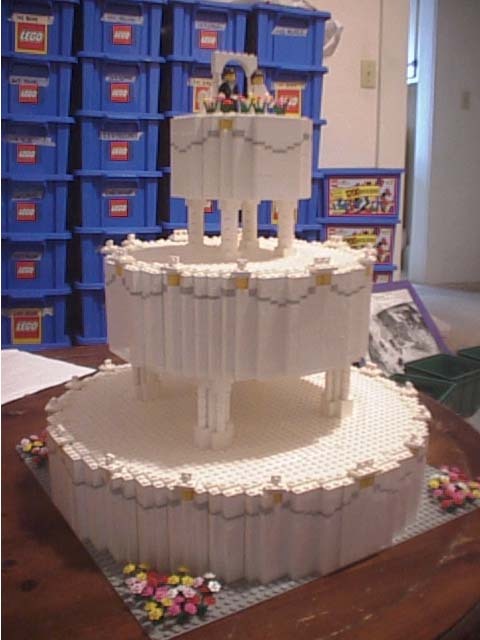 The bottom two tiers come apart into pieces that people can take away and the top tier is a souvenir for the couple. Each piece of cake could go inside a hand sewn cloth bag (I'd make it) that says Ivy and Jong (or is it the man's name first? Hmmm. For some reason I thought it was the person with the largest testes.. and mine are massive :P). Anyways. I love this. Get on it Jong.